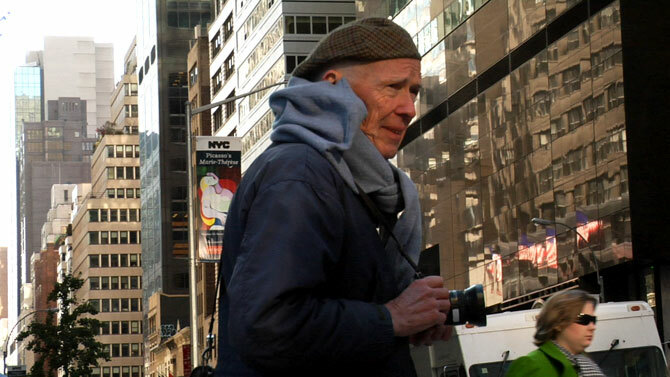 If you count yourself among the privileged few (8,5 million) living and working in New York City, chances are you will have seen the elderly fellow in his trademark blue jacket, roving the streets on his bicycle, photo camera on hand. If style, panache and originality are features that best define you, you may have even caught his attention. 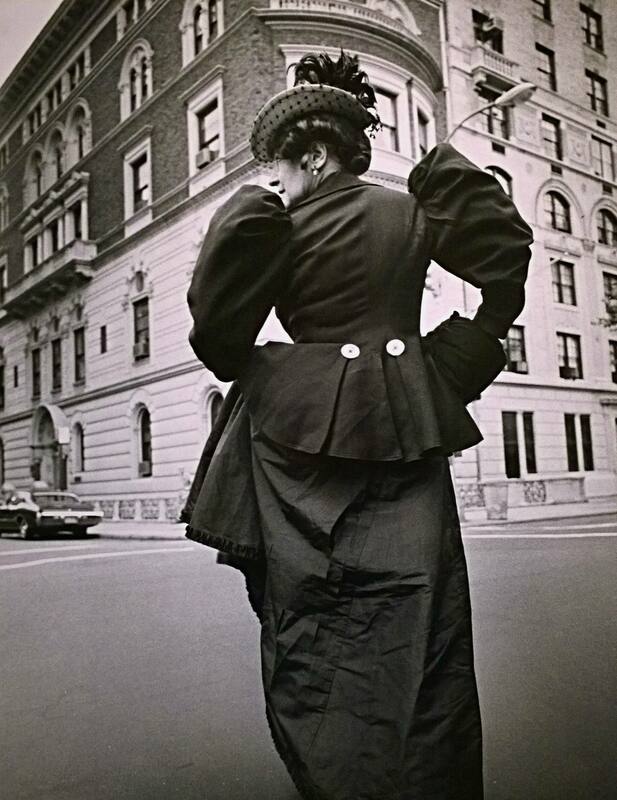 He is New York’s most famous street photographer, a living legend, one of the most influential – and yet most unpretentious – authorities of style, leading a modest life focused on capturing the essence of fashion. 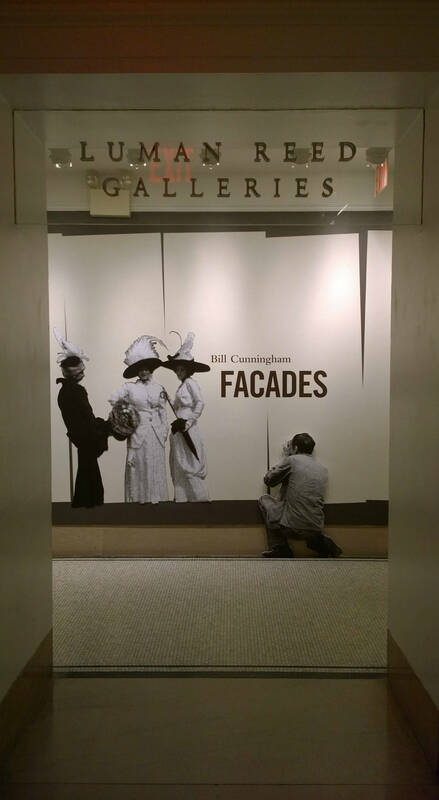 My chances of meeting him personally are rather slim, but there is always his work, either on The New York Times or, that once-in-a-lifetime chance my first ever trip to New York would coincide with his photo exhibition ”Facades” at the New-York Historical Society. ”Facades” is the outcome of an eight year-long project that started in 1968 and brought together 128 architectural settings and fashion spanning over 200 years. 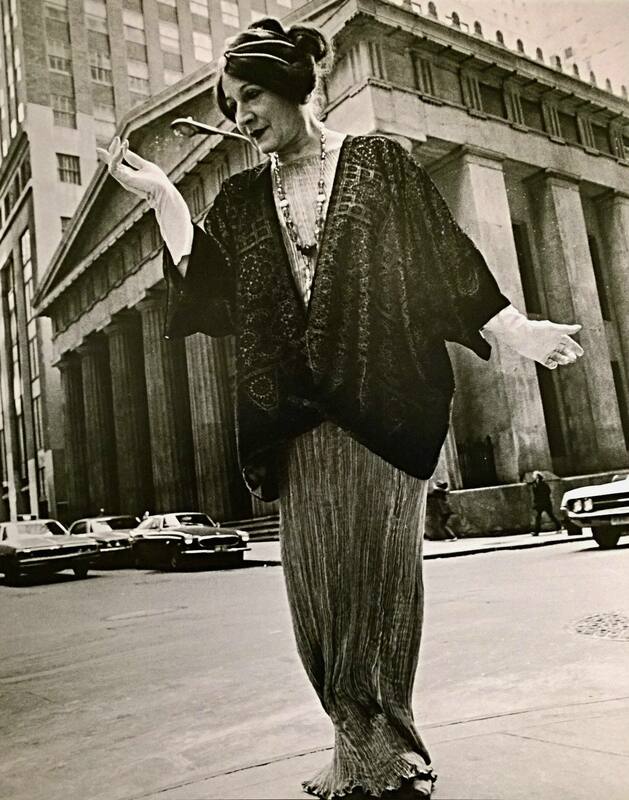 A collaboration between Cunningham and his friend, fellow photographer and neighbour at Carnegie Hall Studios, Editta Sherman, a free spirit and larger-than-life personality whose passion for retro and vintage fashion played a pivotal role in this amazing work. 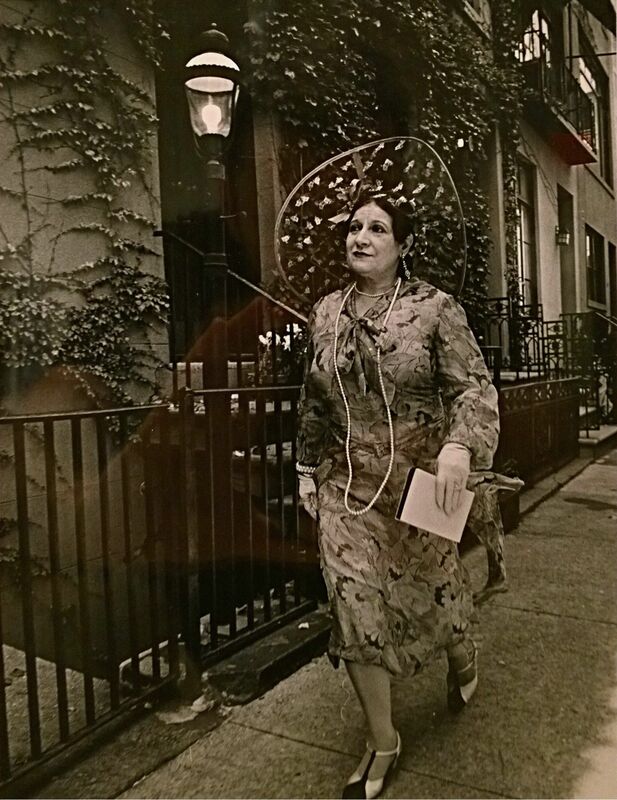 When Bill Cunningham started the ”Facades” project ”just for the fun of it”, Editta Sherman was thrilled to be given the chance to expand her already extensive vintage collection and put it in front of the camera. Forever on the lookout for another ”old dress” she shared the week’s findings with her niece and sister who altered them for her. 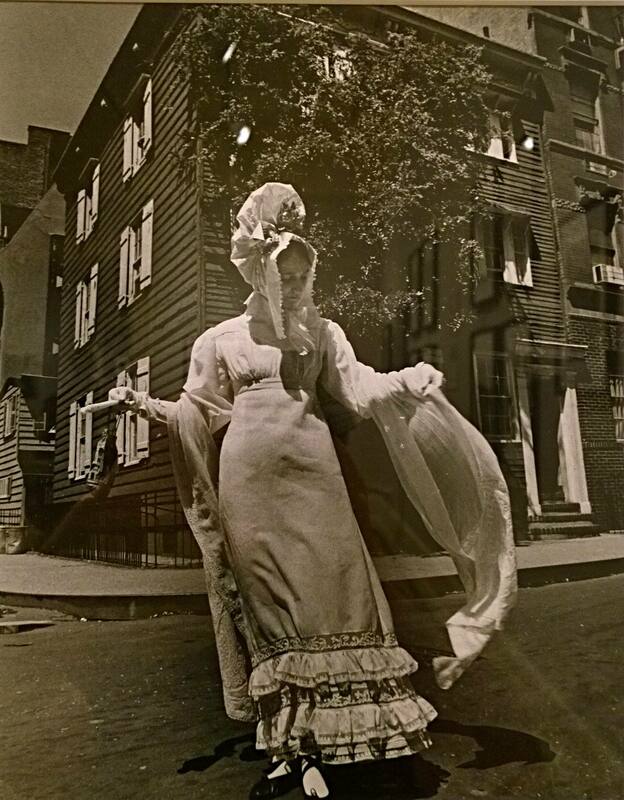 The end result was the 1978 publication ”Facades”, in which fashion history is juxtaposed with Manhattan’s most interesting architecture during a period that New York’s urban landscape was changing and preservation was not a priority. 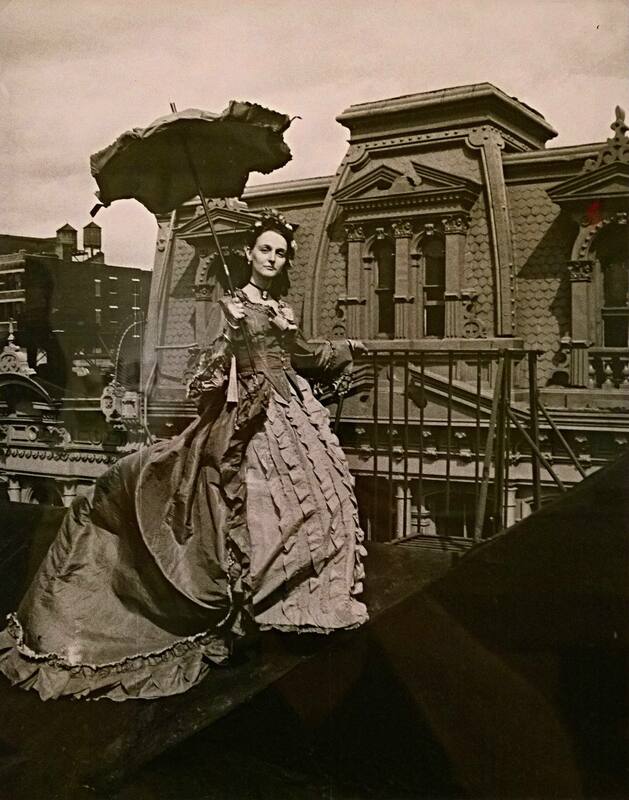 The photographer donated 88 gelatin silver prints from this series to the New-York Historical Society, featured in the exhibition almost 40 years later. Mr Cunningham had annotated the back side of the prints with numerous anecdotes, facts and thoughts, some of which were accompanying the photographs. 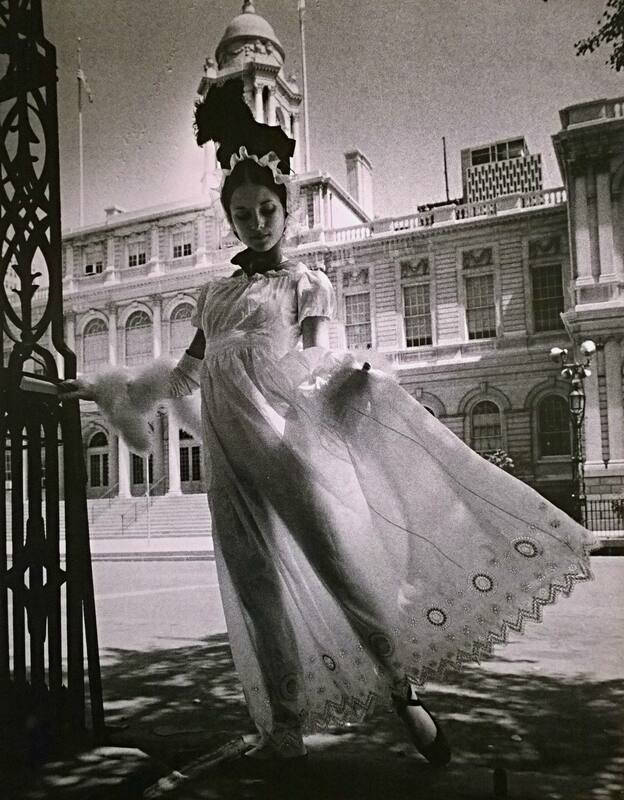 Although more models took part in the project, the photographer’s muse and inspiration was obviously Editta Sherman. 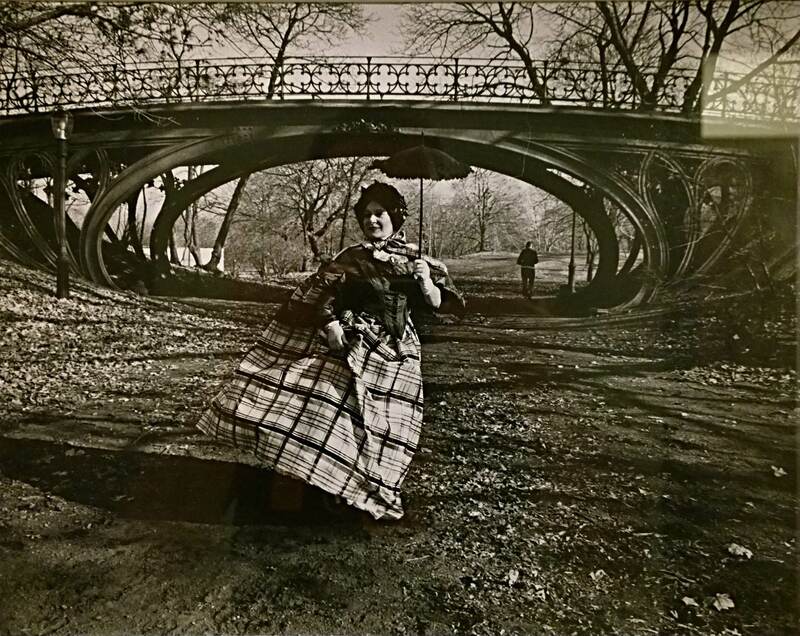 Notice the free, playful poses the photographer encouraged and the muse readily adopted rejecting the stiffness found in historical photography but also in fashion photography of the time. 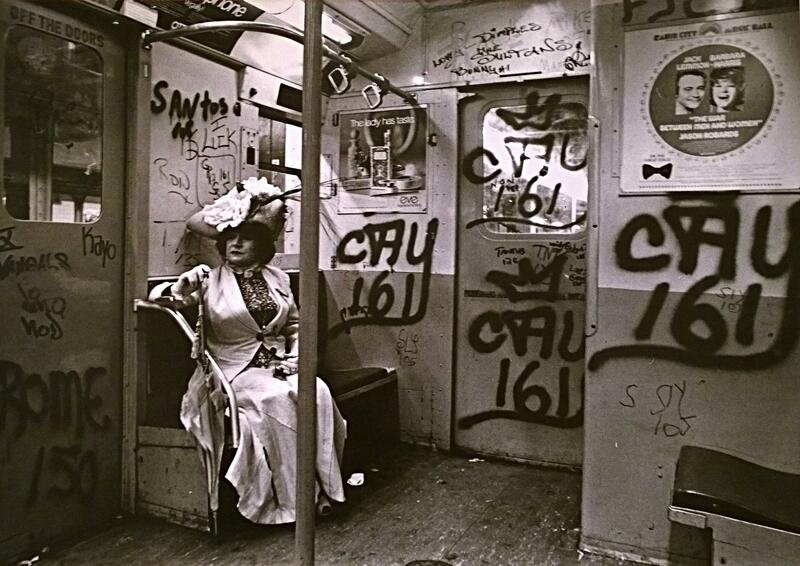 Editta Sherman on the train to the Brooklyn Botanical Garden (ca 1972). 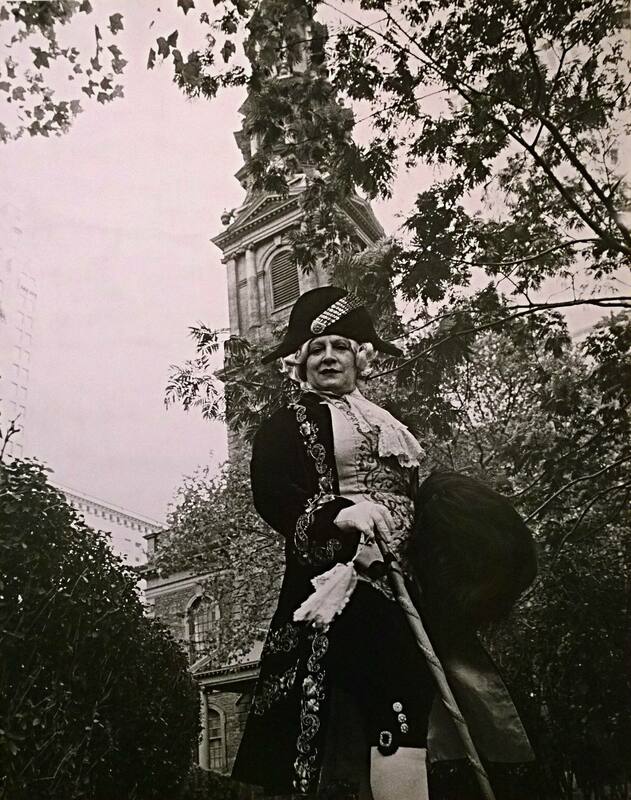 While working on the Facades Project, the photographer and his model often traveled to locations via public transportation to avoid wrinkling the costumes. 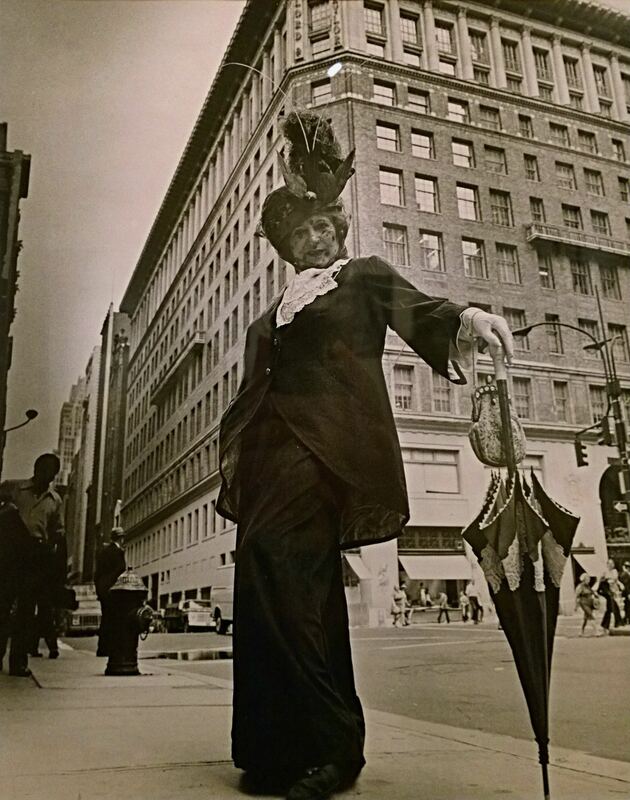 Seeking to compliment the early twentieth century’s ornate Beaux-Arts architectural style in fashion, Bill Cunningham summoned his instinct as a former milliner to complete his model’s outfits with flamboyant hats. 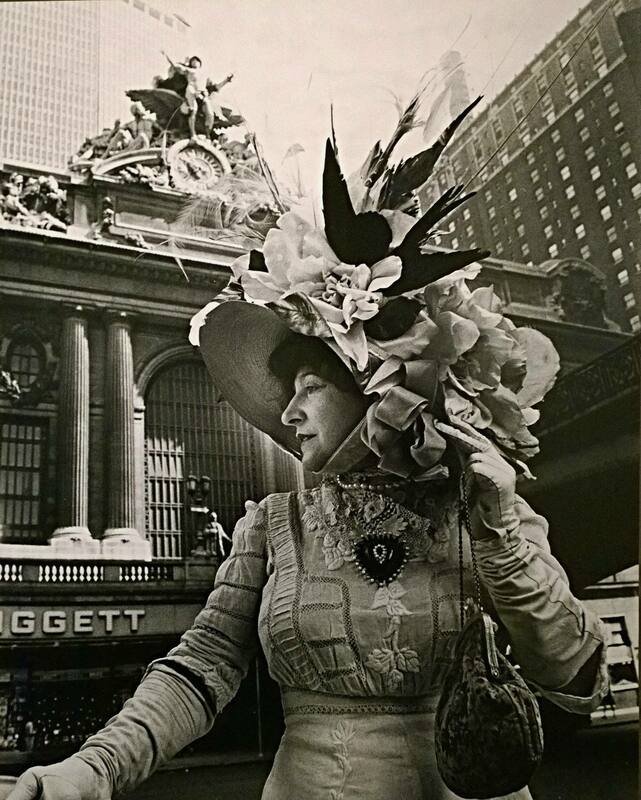 For his image of Grand Central, the headpiece deliberately echoed the spirit of the ”crown of the Terminal”, the colossal sculptural group by Jules-Félix Coutan. Cunningham also made other associations. 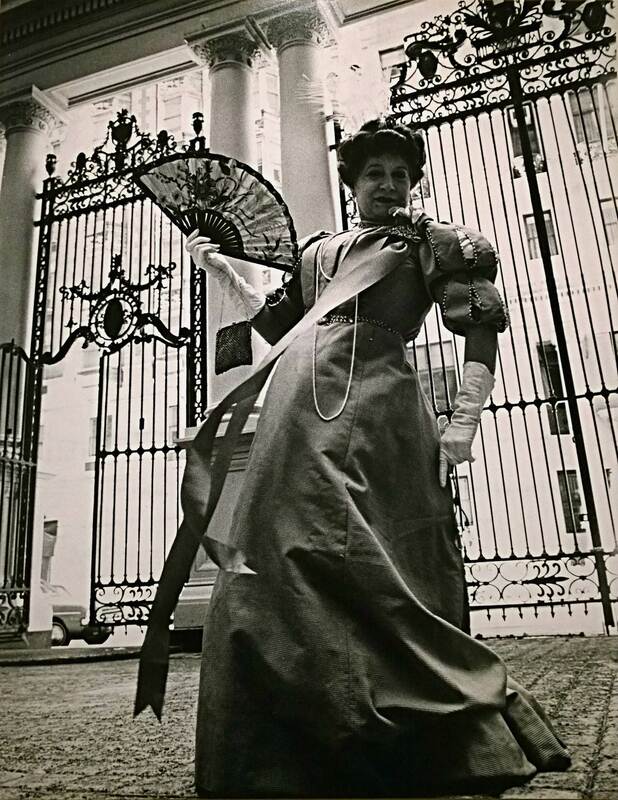 He paired, for example, a Worth-designed, Renaissance-inspired tea gown of Mrs. J.P. Morgan Jr. with Morgan’s ”Florentine palace” of a library, and juxtaposed the Parthenon-like details of Federal Hall, built in the 1840s, with a Grecian-style pleated gown designed by Mariano Fortuny in the 1910s. 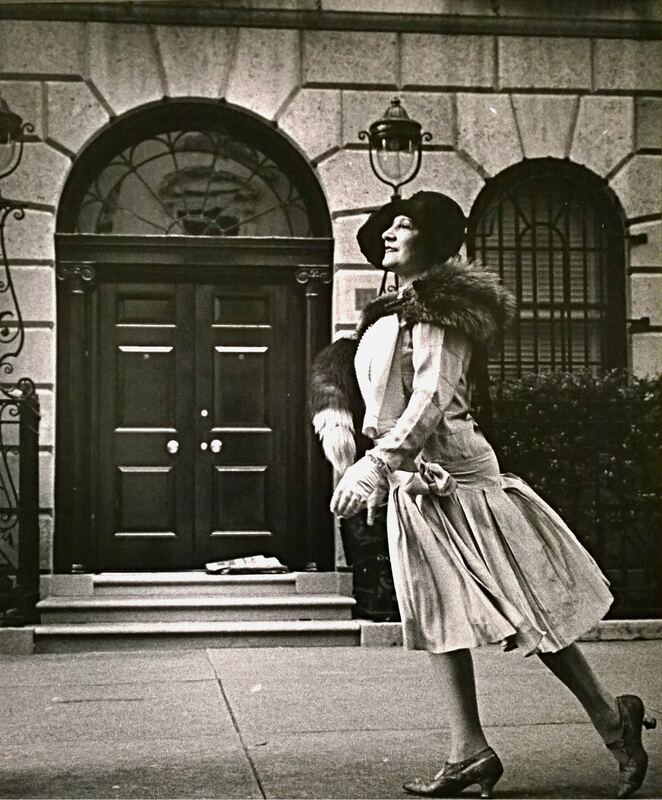 For the 1930-1939 period, the Depression years, Bill Cunningham focused his lens on locations and fashions that evoked glamour and prosperity rather than hard times. Sleek new Art Deco landmarks such as the Empire State Building and Rockefeller Center in midtown, along with luxury apartment houses like 740 Park Avenue and Hamphsire House farther uptown, brought a new elegance to Manhattan’s landscape. 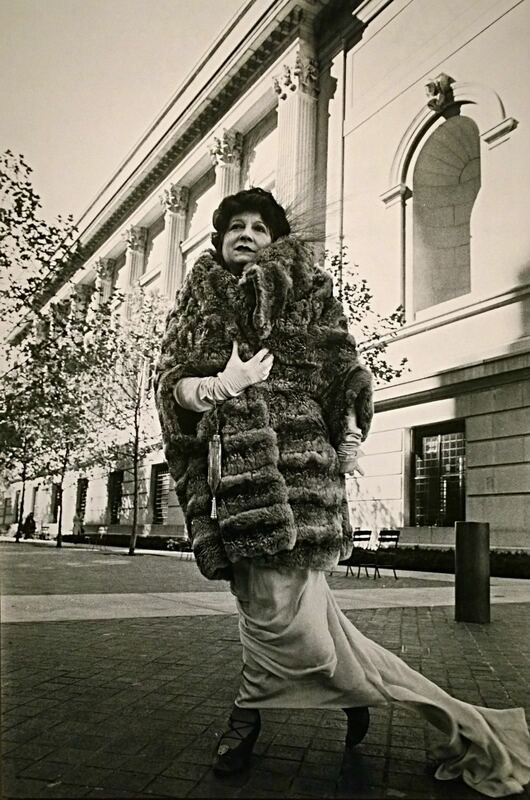 For this series, Editta Sherman channeled a high-fashion chic immortalized in Hollywood films, appearing in bias-cut gowns, jaunty headwear, fur stoles and a full ”dancing skirt”. 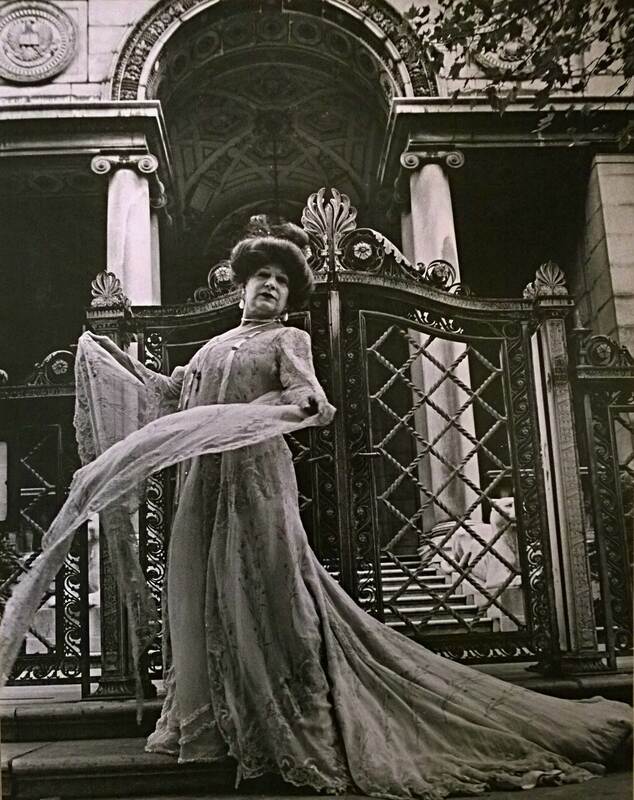 She donned a daring pair of pants – full-legged ”Palm Beach” pajamas – that Bill Cunningham arranged to complement the fluid design of the windows at the residence of architect William Lescaze on 48th Street. 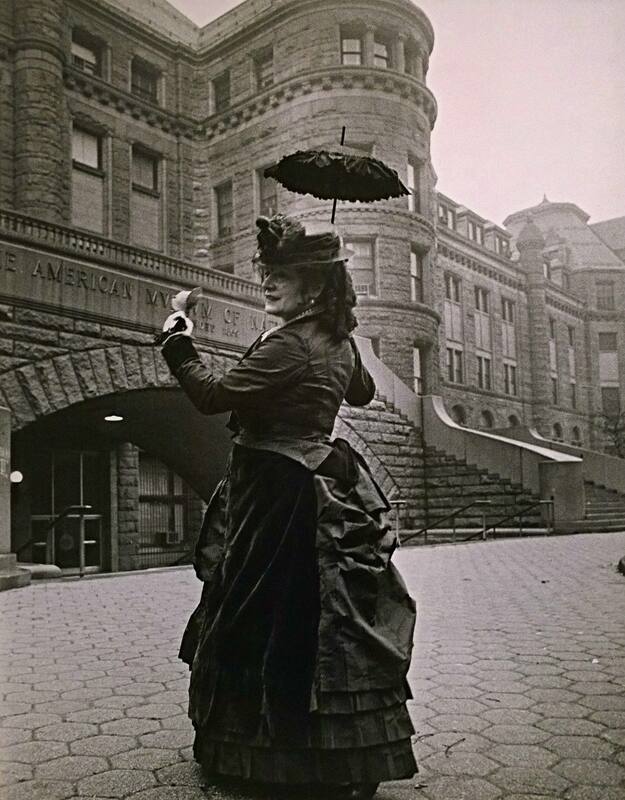 Similarly, the photographer again called upon an inspired succession of creative hats to echo the forms of the period’s architecture. 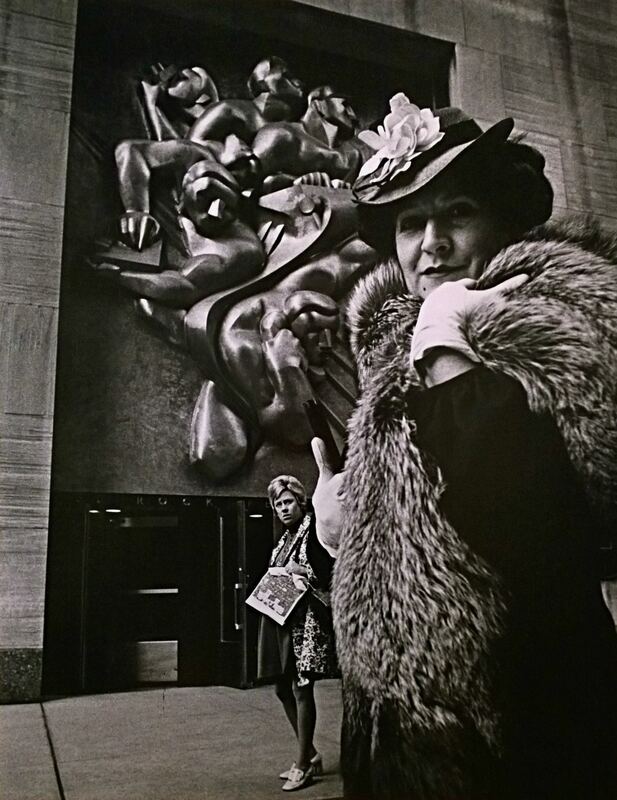 Bill Cunningham and Editta Sherman would remain friends in the decades after the completion of the Facades project and beyond their eviction in 2010 from the apartments at the Carnegie Hall Studios, where both had lived for sixty years. They were among the last holdouts of aging residents in the rent-controlled building, which ultimately was converted into music education facilities and offices. 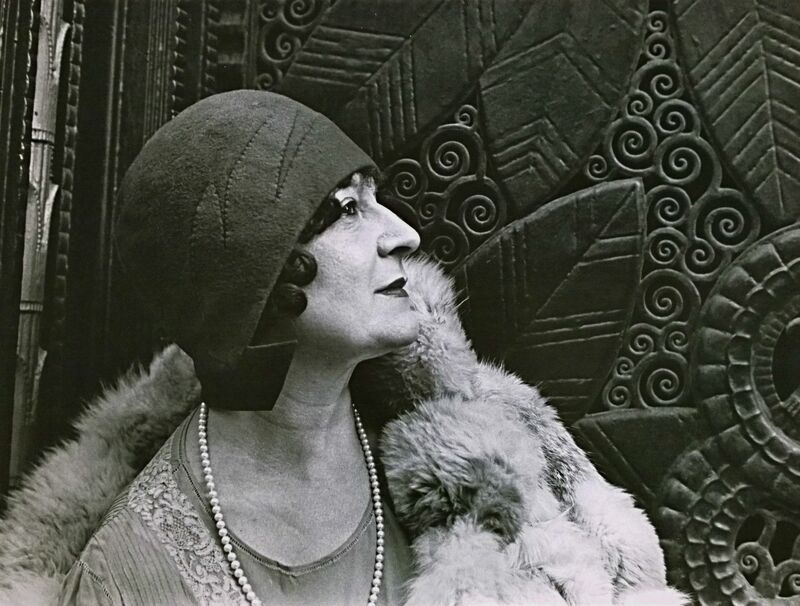 Until the end, through the lives of the residents, a bohemian aura flourished in what Cunningham called his ”crazy house”. 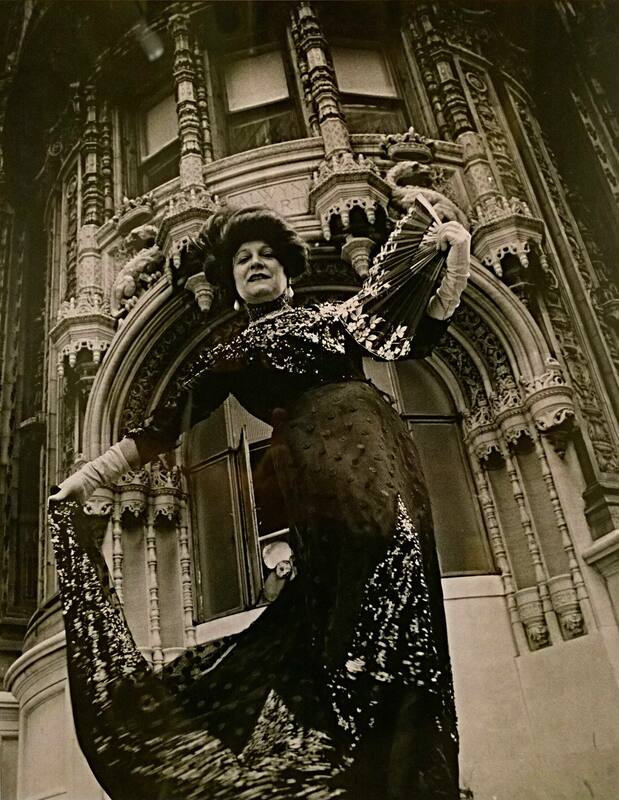 Editta Sherman was its centerpiece. 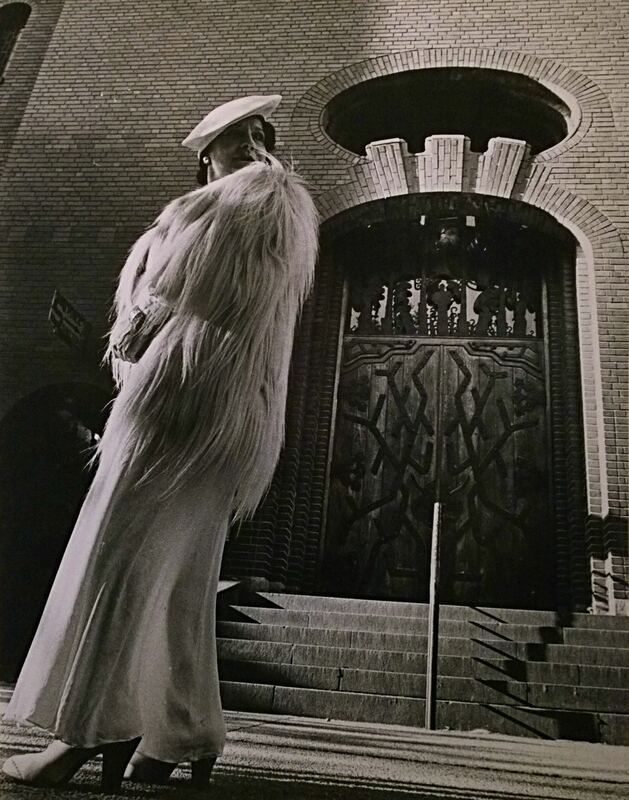 The Carnegie Hall studio towers may still stand, but that place which the photographer and his colleagues knew and cherished is now lost. 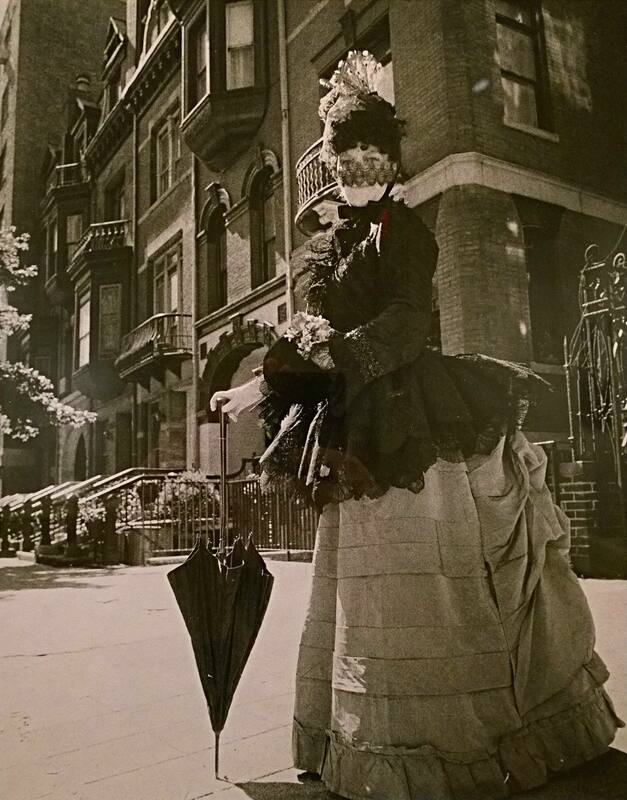 In many ways it is an ironic coda to the Facades project, an artistic collaboration born of an artistic camaraderie, which had the power to capture something ephemeral about the city. 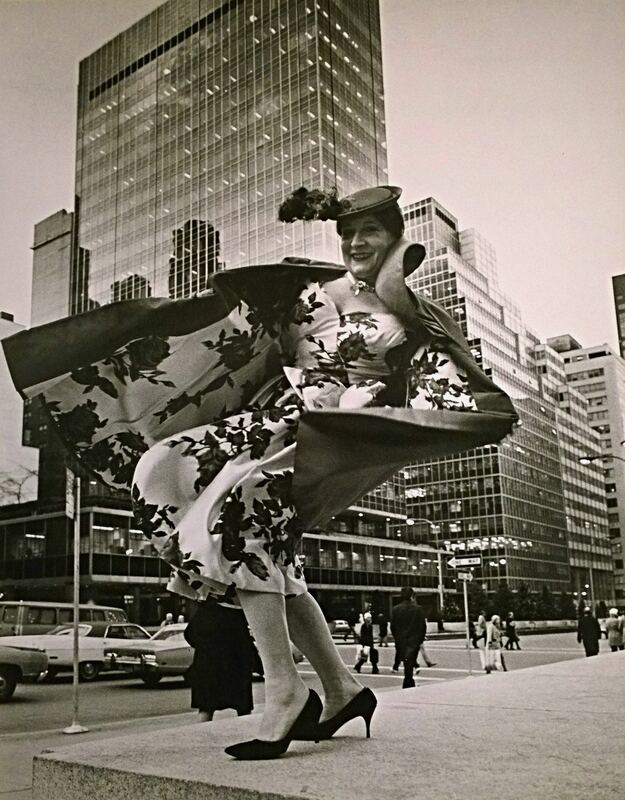 The Facades photographs have withstood the test of time and Bill Cunningham continues to travel by bicycle and photograph fashion in New York, where Editta Sherman died on November 1, 2013 at age 101. 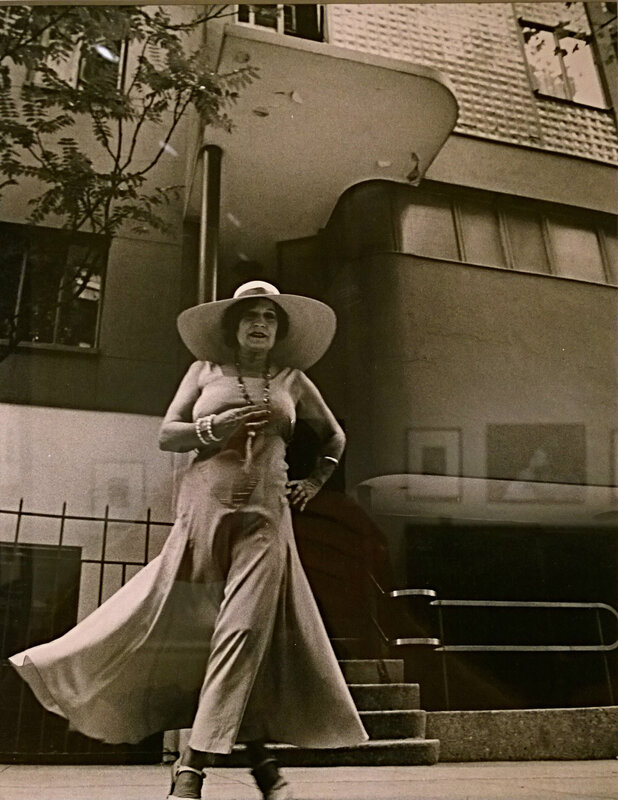 Snapshots of our favourite poses from Bill Cunningham: ”Facades” exhibition, by Konstantinos Implikian. Enter your email address to follow Lia in Brussels and receive notifications of new posts by email. Just what is that makes Richard Hamilton so Pop?